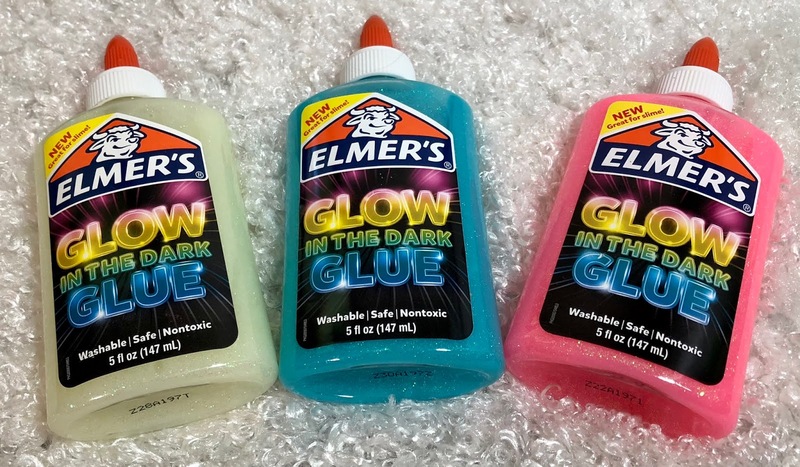 Nothing reminds me of back to school more than Elmer's school glue. I don't know if it's the bottle itself or the smell of the glue. Either way it's a sure sign school is on it's way! This year it's a sign of fun in our house though. We were lucky enough to get a few bottles of their Glow in the Dark glue to have a little last minute summer fun to make some glow in the dark slime. Just check out how cool the glue looks after you put it under a light for a few minutes! Here's a cool recipe right off the Elmer's website if you want to try out some slime time fun for yourself. 1. 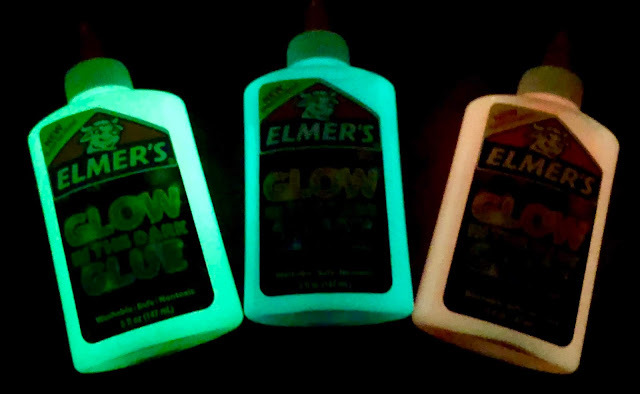 Pour out entire contents of the 5 fl oz Elmer's Glow in the Dark Glue into a bowl. *Adult supervision is required; this project is not appropriate for children under the age of 3 years. Thoroughly wash your hands before and after making and playing with slime. Warning: If large quantities of contact lens solution are accidentally ingested (greater than a tablespoon), get medical attention immediately.